Michele, who is the co-owner of BluePrint, explained when asked about what the process of starting BluePrint looked like. The vision was in their mind for a long time and now it was time to make it happen. Picturing the walls, the pictures, everything about the place that was going to make it a reality. Making it a place that people wanted to go to. Making it a place to better themselves and thrive in an environment that would allow their clients to grow in ways that they didn't think were possible. This was it.. The time was now. It was time to make the vision they had for the place a reality. After opening, Michele was digging through the archives of her phone while on a trip to the city to see a friend and came across something that had been tucked away for awhile. Sometimes you have to make some changes for the betterment of you, your family and the people whom you are trying to help in your chosen field. When you see an opportunity to possibly make things better you have to jump on the opportunity or it will disappear before you can blink again. Not many business’ can claim the ranks of “The Merged...” but BluePrint can. 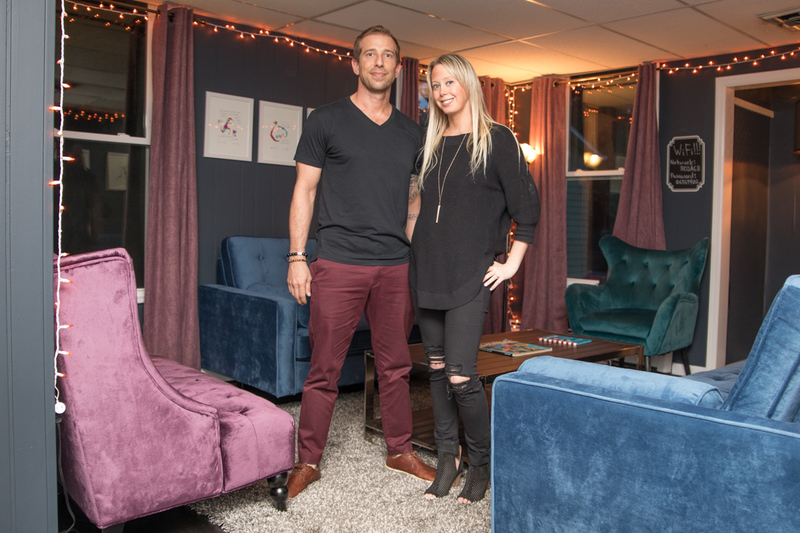 After John, the other owner of BluePrint, worked alongside Michele while training at a clinic they realized that their different techniques complemented each other. 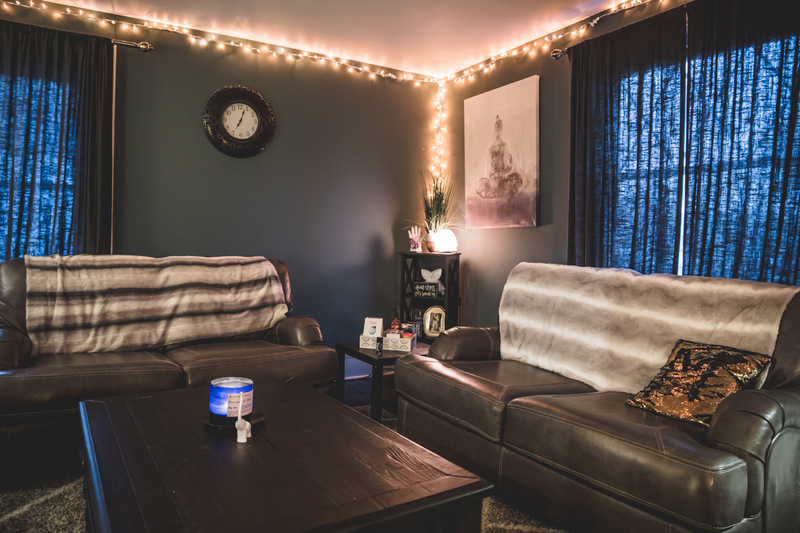 Time went on and John worked on building his practice for two years while Michele worked on building hers, Triumph Counseling, until they decided to make the move. Also, as of October of this year, John and Michele are now married! At it's core, Blueprint is a family practice that strives to bring families back together. They not only brought two business' together to make something great but they've brought each other together. It was time to make this a joint venture. With both of them having similar practices and especially being in the community for a long time, they each had established great relationships in the community that would add value to this merger. 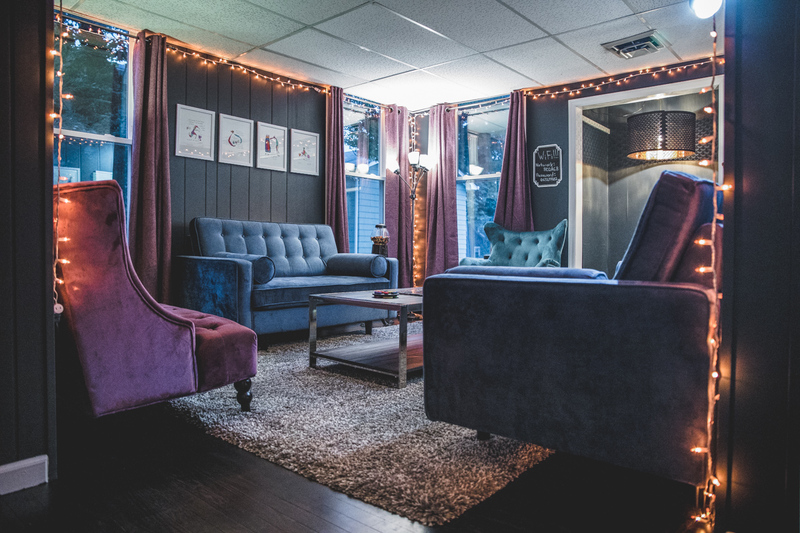 They were now officially in this together, ready to bring their passion of mental therapy to the community, and deliver the best clinical work possible to their clients. Pulling up to the Grand Victorian home, that was built in 1900, you get a hint of… well… that something’s a little different about this place. Things can change, and just as this house once was a place where a family called home, it was now a place where a business and their team would call home. After visualizing this estate and it’s welcoming outdoor features including the wrap around front porch and old carriage overhang still attached to the side of the home, you may ask yourself, “What is that ‘different’ I’m getting the scent of?” Well… you’ll never find out if you don’t walk through that door. Walking through the front door, and starting your tour of the home, turned business, your senses are instantly activated by the unique fragrance in the air putting you in a state of of curiosity and wonder. Each wall in each room was carefully designed, has different paintings and colors on it that speak to what they were looking to bring to the place. That positive energy you get when walking in comes out of each painting/picture and piece of furniture that was not there any accident. It’s a practice that thrives in originality at its core. Meaning they do it the way that they want to. 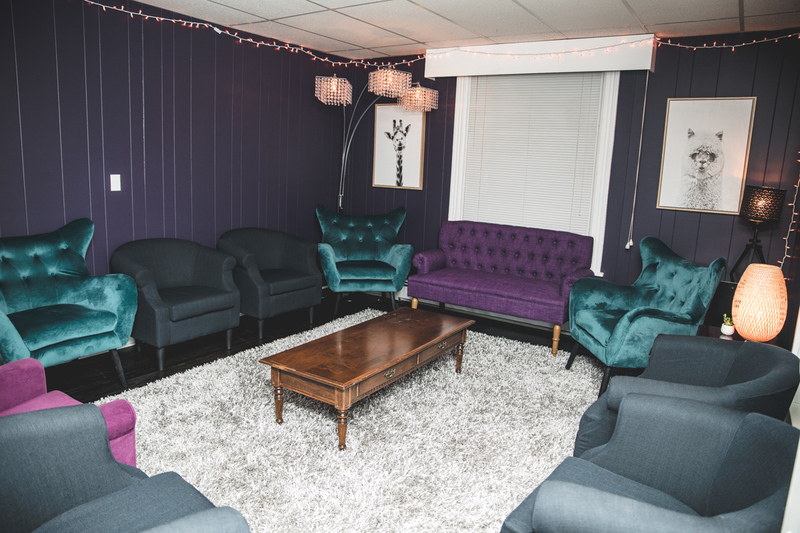 They don’t have any desks in their offices because they shy away from the “taboo” therapy stuff and put their own unique spin on how they believe they can help their clients out the best. After walking through the calm, unique, and creatively designed place it makes the journey you’re about to go on with Blueprint a lot easier. If you walk into this place and feel that you are going to be able to just walk in one time and forget everything that has ever happened to you then think again, because working with Blue Print it’s well, we’ll let Michele take this one. If you stick with it though and see it through to the end, then you’re going to reap the rewards of staying committed. In this profession it’s important to expect the unexpected. You just never know where people are at in their lives when it comes down to it. Understanding that this is a commitment and the journey to getting to the place that you want to be can be challenging each of the team members at Blueprint are there to guide you in the process. Seeing it from the beginning and where they were at before is quite unbelievable. The biggest rewards don’t come monetarily though, they usually come in those little moments when you see the progress that has happened. Seeing the progression of people is a magical thing. There’s nothing quite like being a part of someone getting out of whatever kind of trouble they were in mentally or physically. That desired end result can seem so far away when you start though. When there was but little hope after that first day, but knowing that no one was going to give up on you helped make it happen. It’s one of the reasons why trusting the process and the plan that is laid out for you is a necessity in recovery. Designing the place that you want and making your vision a reality can be a tough task. Because you want to have the right community of people that fits with your mission. If you want to flourish for years to come then you have to put in the time. The community they have at Blue Print is not by any stroke of luck either. They thought through and planned out what they wanted their place to look like so when their community started to come they would be able to thrive. 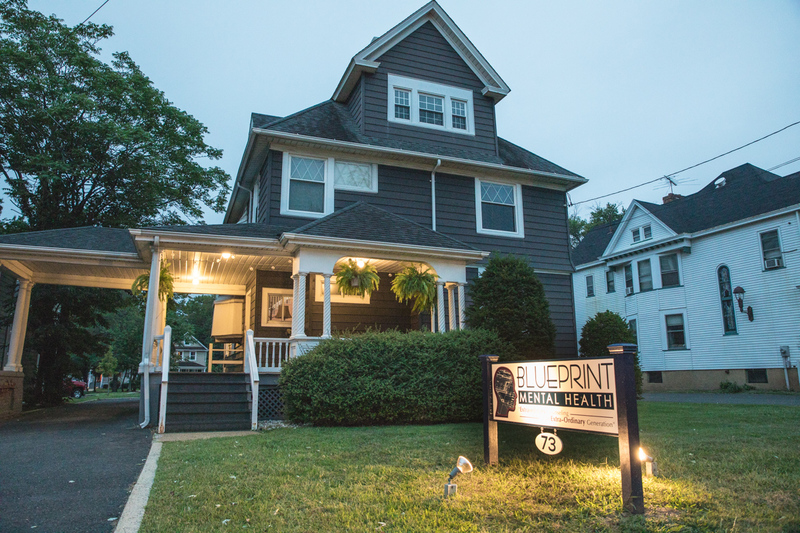 But it’s not just about BluePrint, because within the community of where their business is located in Somerville, they rely on other places/business’ within the community to help get their clients to where they want to be in their journeys. Sometimes you get a little frustrated in the morning when you can’t decide what to wear. That’s common... but what about starting your own business...what’s the challenge there? That unknown element of not having a clue of exactly how things are going to go, well that’s where John and Michele are at. It’s a cool but frightening place to be in. Yes, they started their business and believe full heartedly in their talents but by not having a “cheat sheet,” of exactly how it’s going to go, can be frustrating when you wish that the answers were right in front of you laid out like a treasure map. As a parent it can be easy to think that you have all of the answers, but at the end of the day there’s people that might have a better answer. People that study family experiences and the effects of parenting on their kids mental well being. In today’s world, it sometimes can be tough to give the attention to your kids that they need. With bills to pay and food to put on the table your constantly on the alert and ready for that phone to ring. We want to give our kids all the nicest things and the best vacations, but we sometimes forget that the best thing could be some one on one time with your child that he or she is craving. Parenting is a tall task that a ‘one size fits all’ strategy has not yet been developed. Michele, with one of her specialities being in Family Conflict, describes one of the situations in today’s technology and social media driven world. Once you leave a session at BluePrint you may feel like you’re on top of the world after the things that you learned. You may feel like nothing can stop you from getting better. But without you even realizing it you may be walking into a trap because of what your home life is like. It’s something at Blue Print where they strive to find, obtain, and implement into their practice. Where do you find this ancient medicine? This medicine that has been researched for centuries because people are often times in a desperate search of it. It’s not an easy medicine to obtain. At the end of the day, attaining Balance requires no prescription of medicine. The medicine is doing the work. That’s also where the commitment part comes in for BluePrint. That ‘work life balance’ is something that is hard to come by and something, along with their clinical work, that John and Michele strive to do better in daily. In order to operate and impact the people that they’re working with they need to be at their best. When speaking about it though they’re honest and “authentic” saying that they can even do a better job with it as well. Part of obtaining that balance though comes with a team effort and that’s where BluePrint wins. ‘There’s no I in team’ right? BluePrint has taken the ‘I’ out for sure and that’s where John has first hand experience in this line of work where, if you did decide to put the ‘I’ in team... it needs to be shredded as quickly as possible for the best results. Going on, he points out how when the “riskier” clients come through, if you have the team, you can come together to collectively meet and discuss the client. Without a team though, you can be doomed for failure. If you fail to check your ego at the door and realize that you can’t do this alone, you may not see the results that to bring the client out of the situation they’re in. At the end of the day, they go to great lengths to consult with their team about each client and situation. With their team they are like the foundation of a great castle or “The Castle” in their neighboring town of Raritan which was part of the Duke Farms estate and helped bring in the water from the Great Raritan River into the great estate. It stands unused now but it is a solemn reminder that nothing great can happen without a little help. 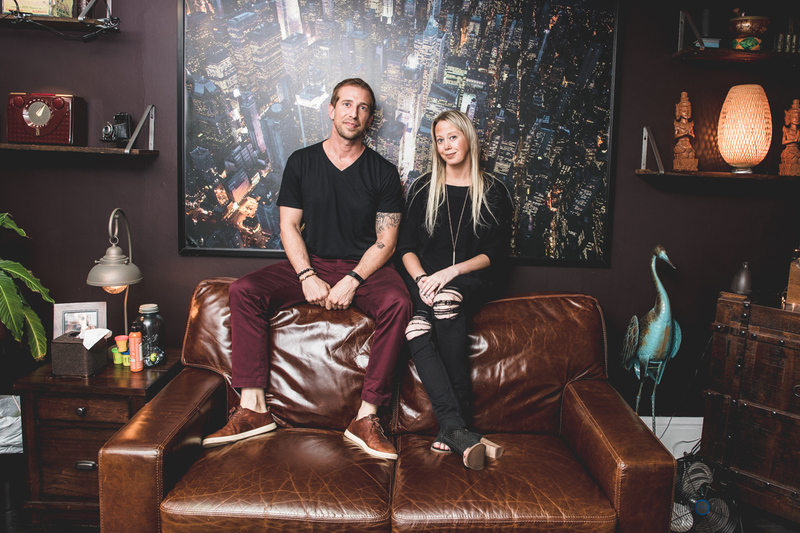 They’re in their first year of BluePrint together, but they didn’t start this business for the short term, John and Michele are in it for the long haul. Anything that comes their way… they will be ready. On that video was a conversation with the other owner and her husband, John Mopper, who was talking about the vision they had for the BluePrint. At that moment, when Michele was looking at it, it was a little surreal she explained, because of the words spoken about how the place was going to look and looking at the place now. The striking resemblance of how the words translated into its physical form. BluePrint still is evolving and growing, but that video was a friendly reminder that they can do anything if their open minded, talk about it, and then execute the plan. Tom is a writer and designer based out of Raritan New Jersey. He specializes in personal and business profiles. He also writes on his website readyaction.blog where he features others writers too about strategies on lifestyle, business and creative fields. Also having a love for historical fiction he writes short stories based on historical events in New Jersey’s history.